Every year, thousands of groups depend on Adrenaline Fundraising to help reach their financial goals. We’ve spent years refining our program and have gained a comprehensive understanding of what works in fundraising. With decades of experience in the fundraising industry, we know what products are going to make your team or organization the most money. We carry only the best quality products, so you can confidently fundraise knowing your supporters will be 100% satisfied. One of our most popular and profitable products are our discount cards and tickets. 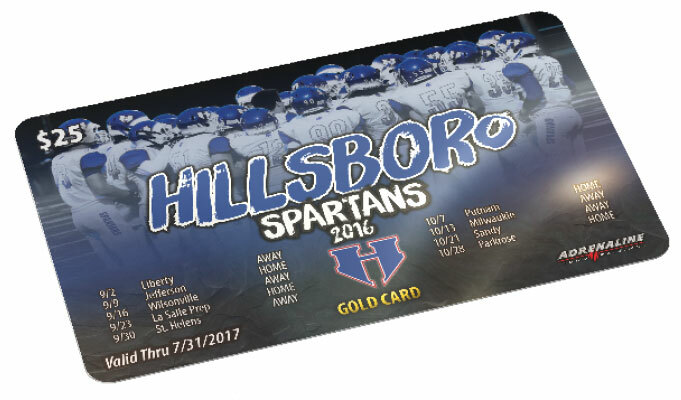 We work with local merchants and vendors to build a custom product for your school, team or organization. Contact a local rep to find out if discount products are right for you. We work with large and small teams in just about every sport and activity. We evaluate your needs and gain an understanding of what other groups in your area are doing before we make recommendations for a fundraiser. Our experience ensures you'll raise more money in less time.